Display your fleet in style. 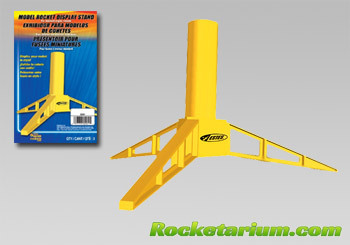 Use these model rocket display stands to show off your masterpieces. Display stand kits are available for rockets with 18mm or 24mm motor tubes. Our display stands have a slot for a motor clip and can be painted.